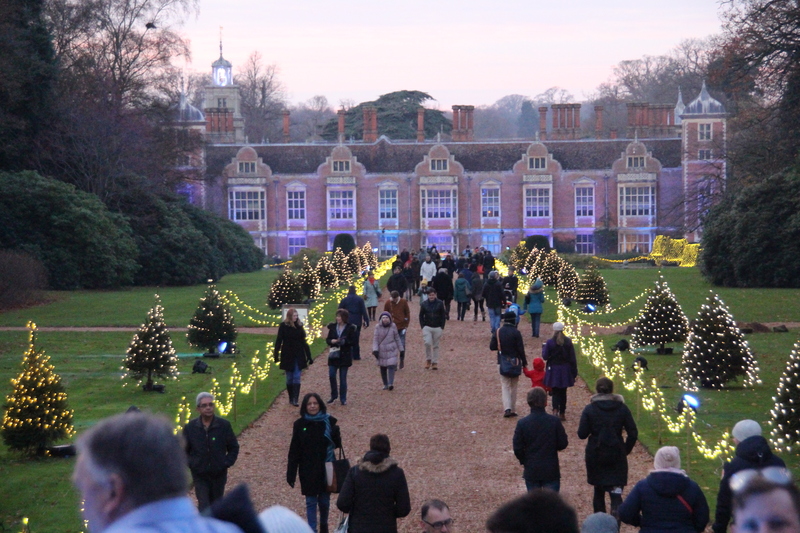 Up to 100 exhibitors will pack the grounds of the National Trust’s Felbrigg Hall, near Cromer, on September 8 and 9 for the ever-popular, family-friendly, Greenbuild event. Attractions at the green lifestyle extravaganza will include a craft and farmers’ market with local, homemade, fresh and organic produce, a catering area and children’s entertainment. 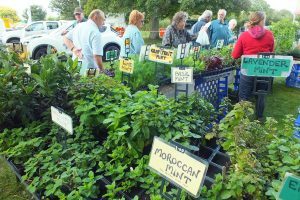 Greenbuild, organised by North Norfolk District Council, is a fantastic way to find out how to lead a greener lifestyle. There will be exhibitors of green technologies like solar PV panels, biomass boilers, ground and air source heat pumps, electric cars and bikes, and experts in local and traditional products such as heritage plastering, handmade terracotta tiles and willow-basket making. Talks and advice from exhibitors and volunteers will cover everything from Tesla battery storage, reducing food waste, plastic pollution and growing fruit and veg in a changing climate. A timetable for talks can be found on the Greenbuild website. There will also be practical demonstrations and lessons for children throughout the day in basic wood carving and fire-starting using flint and steel, ferro rods and bow drills. Council officers from planning and building control, environmental protection, elections and HR, economic development, community-led housing, commercial, coastal, revenue and benefits, waste and recycling, civil contingencies and leisure sports hubs and clubs, as well as the countryside team will be ready to chat with visitors and answer any questions they may have, and to offer advice. There will also be job opportunities available for the forthcoming elections in May next year, help to sign up online to revenue and benefits services as well a mini election where visitors can vote for what they would like to see at next year’s Greenbuild event, and vote for the Graham Allen Award winner. And you can take away three bags of compost on leaving the site for just £3 (subject to availability). Parking and entry to Greenbuild are both free. Opening hours are 10.30am-4.30pm on Saturday September 8, and 10.30am-4pm on Sunday September 9. This year’s 14th Greenbuild event is sponsored by Crayford and Abbs (gold sponsor) and Floodsense (bronze sponsor). Below: a scene from last year’s Greenbuild. This entry was posted in Aylsham, Cromer, Holt, Home Page, North Walsham, Sheringham, Wroxham and Coltishall and tagged Crayford and Abbs, Felbrigg Hall, Floodsense, greenbuild, National Trust, North Norfolk District Council on August 24, 2018 by Gay Webster. 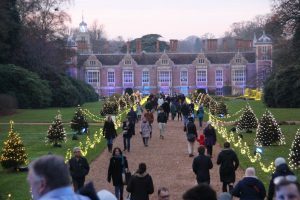 The National Trust is opening its gardens at Blickling Estate for free to National Lottery players on Wednesday, December 13, as a thank you to people who have raised money for its conservation work by buying a Lottery ticket. National Trust places throughout the East of England have benefited from support from the Heritage Lottery Fund, meaning vital conservation projects and work to improve how we tell the stories of these special places can be completed. Jo Bosch, marketing and visitor manager at Blickling. said: “Without grant support like this, we wouldn’t have been able to undertake some of our most important and innovative conservation work. Grant income, as well as help from members, supporters and volunteers allows us to look after special places for ever, for everyone. This is a small gesture of our thanks to National Lottery players. Any visitor who presents a National Lottery ticket or scratch card on December 13 will be admitted for free to participating National Trust places. Full terms and conditions, including the sites participating, can be found on the National Trust website. This offer is part of a National Lottery celebration where a host of organisations which have benefited from Heritage Lottery funding offer free access, special offers or activities to say thank you. This entry was posted in Aylsham, Home Page and tagged blickling, Charity, National Lottery, National Trust, thanks on December 7, 2017 by Gay Webster.